Books of Amber: The End Games by T. Michael Martin. Michael awoke in the dark to the screams again. I have absolutely nothing good to say about The End Games, so if you're a fan of this novel then I suggest you turn back now if you think you're going to be offended. I went into this novel expected to adore these two brothers while they helped each other survive the zombie apocalypse. You all know how I love my sibling relationships. But after finishing this book, I just feel underwhelmed and rather empty. My main issue with this book is the writing style, because I think that it affected other aspects of the novel as well. The writing was just so choppy. There is no other way to describe it. I was getting confused as to what was happening in a scene, and I had to keep rereading entire paragraphs (as if I don't do that anyway, ha) to try to make sense of them. It was too much work. As well as the writing style in general, the older brother's thoughts were so, so weird. After a chapter or two, I was wondering whether or not Michael had a learning disability, but it wasn't - as far as I am aware - mentioned or covered at all, so I don't know what to think. If he did have a learning disability, that would have been great because I do think more YA novels need to have more of those main characters, but since it wasn't talked about I'm going with Michael just being weird and Martin's writing style absolutely failing. Michael came across as so immature, which isn't something I expected in a survival/post-apocalyptic novel. This is the guy who has to look after his little brother, for god's sake. Normally a sibling relationship would have my heart fluttering, but this one was just dull. I didn't feel any connection to Michael nor Patrick, and I found myself falling asleep during their interactions with each other. There's a slight twist about 20% of the way through, which I think was meant to be shocking or surprising. But it wasn't. I thought it was common knowledge from the very beginning, but I guess not. Due to the poor writing style, I ended up skipping the last 65%. I regret nothing. There is no way I could have sat through the rest of this book, because it was boring me to tears and I wanted to grab my red pen and write all over the page. Except, of course, the page would have been my Kindle and that would not have been good. 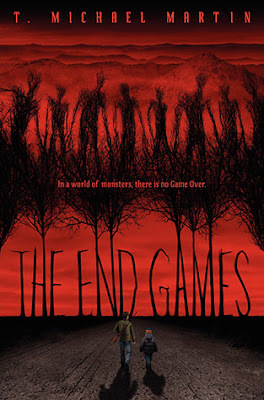 Do I recommend The End Games? In case it wasn't obvious: no. No, I do not. Auwtsch! This book has been getting mixed reviews. I think you either love it or you hate it, there doesn't seem to be a middle way.. Such a shame, because the cover is so pretty and I love the promise. Yikes! I have this on my library pile and I have heard some mixed reviews about it so I'm really going into it for the creepiness factor but reading your review, now I'm a little hesitant about it. I haven't read any zombie novels, but I take an interest in the relationship between siblings as well. When it comes to choppy writing style, I've been there, too. 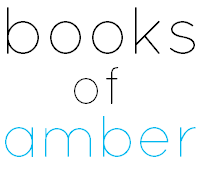 It's just disappointing when a promising book is butchered because of poor writing style. I sued to stick with a novel even though I didn't like, but now I don't do it anymore - if I don't like it, I leave it aside. Mada Sch @ Confiture de rêves. Lol. I kind of liked this one, but it was SO WEIRD. It really felt like it was written as a video game, which was interesting, but like why?